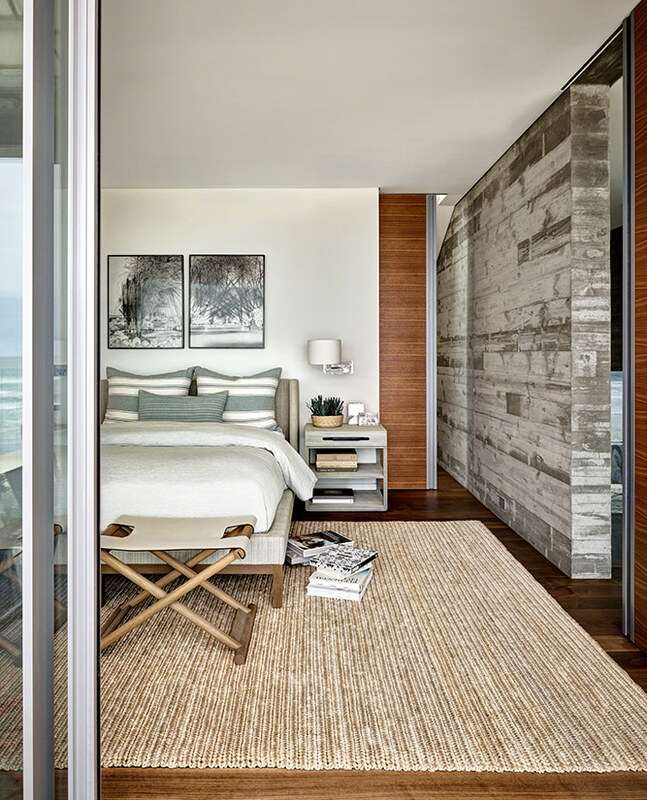 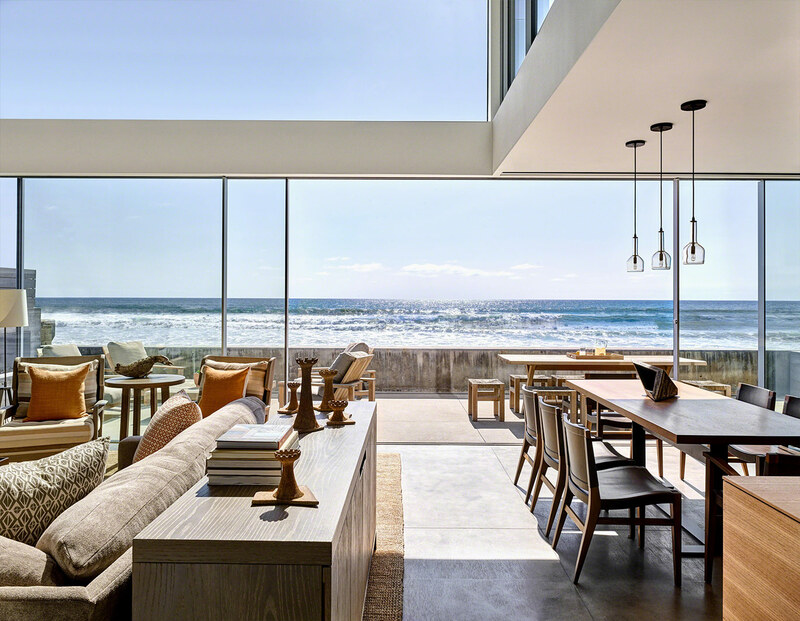 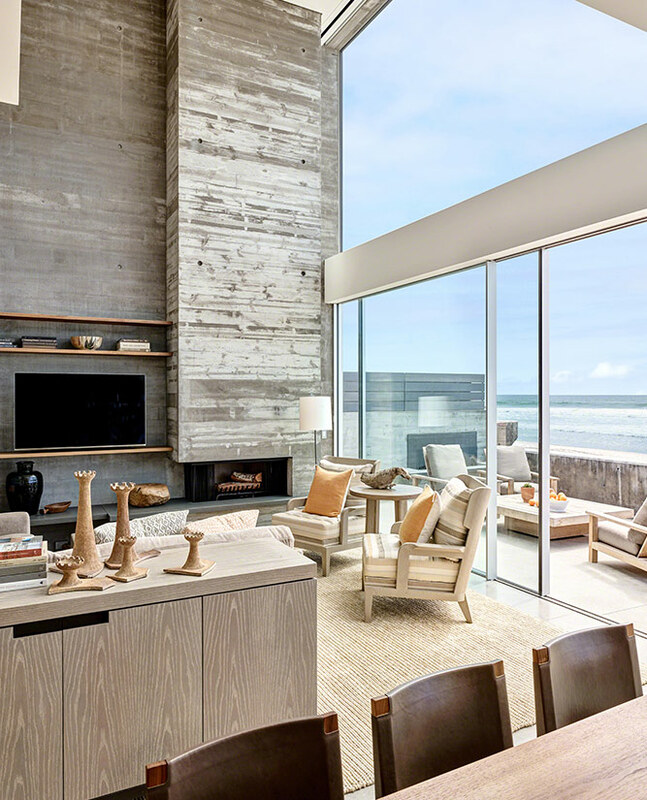 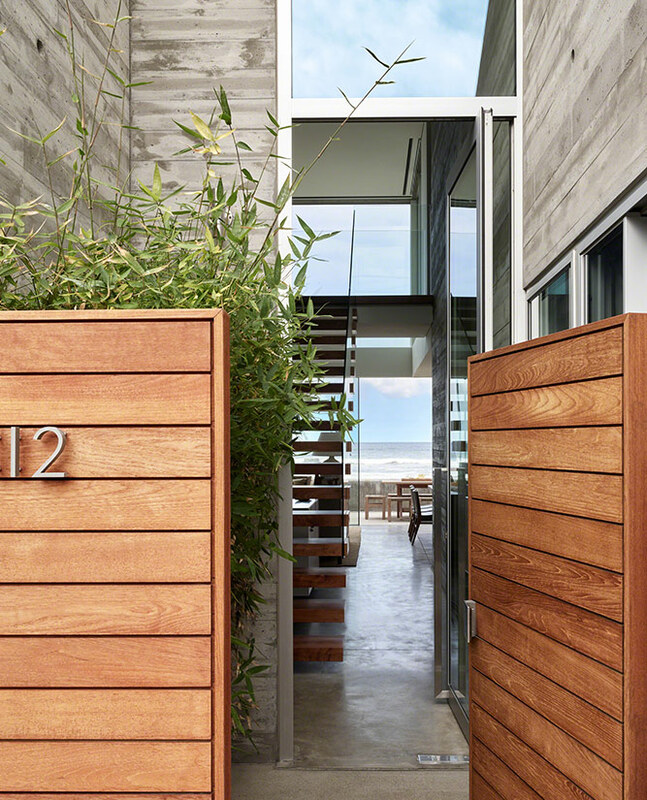 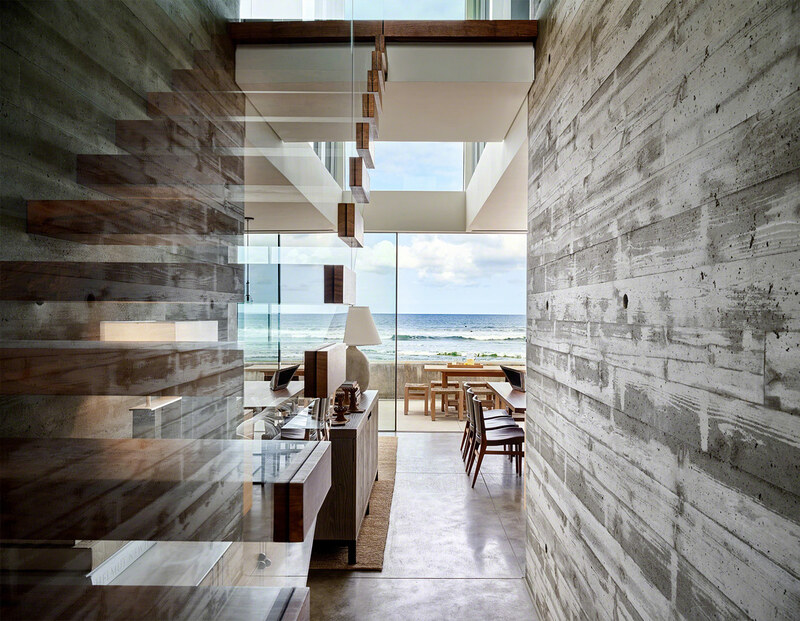 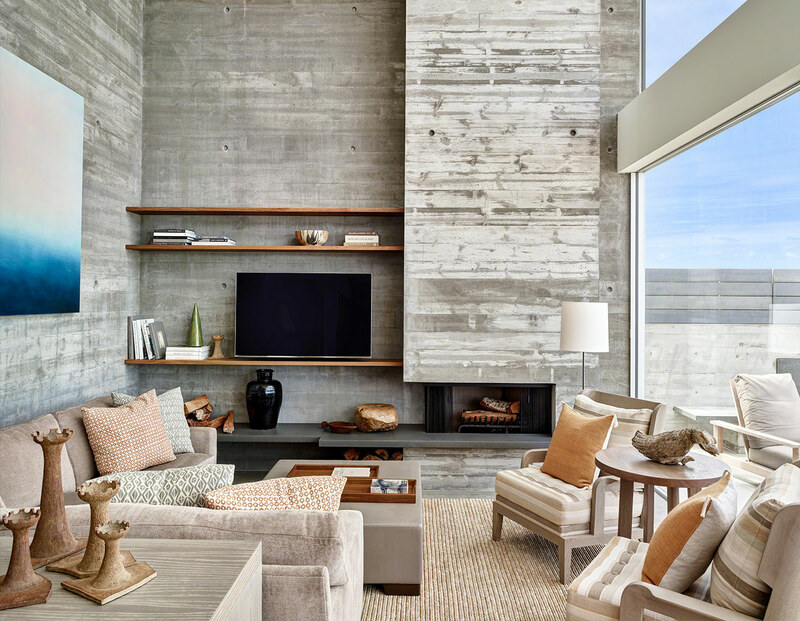 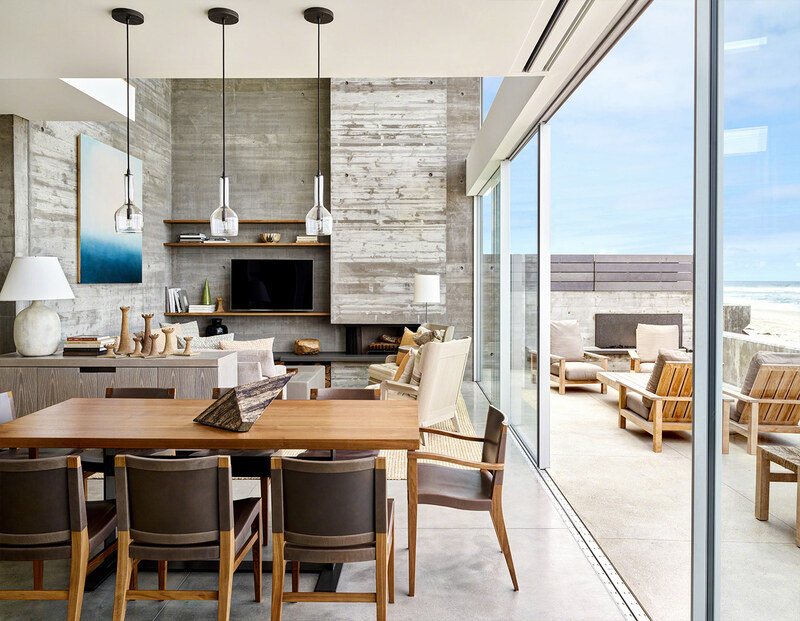 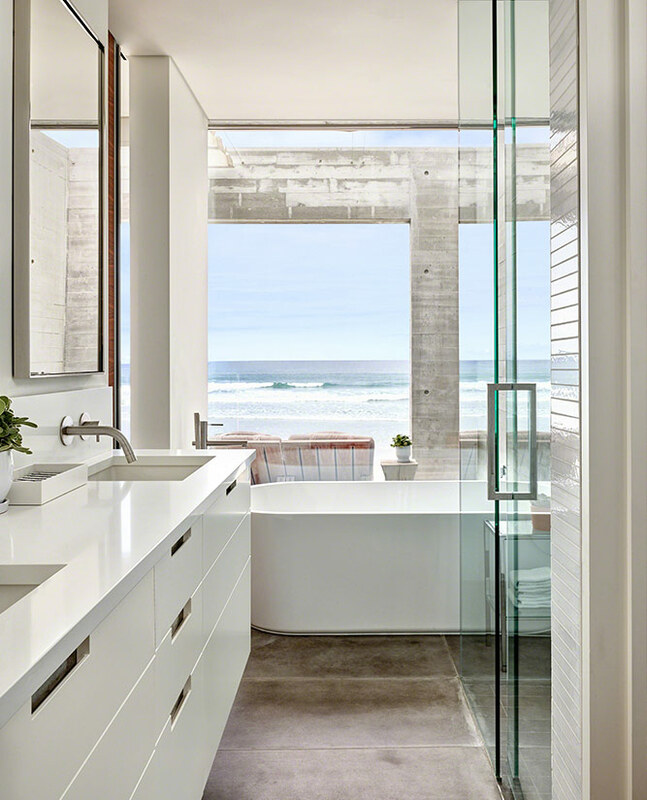 This Southern Californian modern beach house is built in board form concrete, and uses simple clean lines to accentuate its presence. 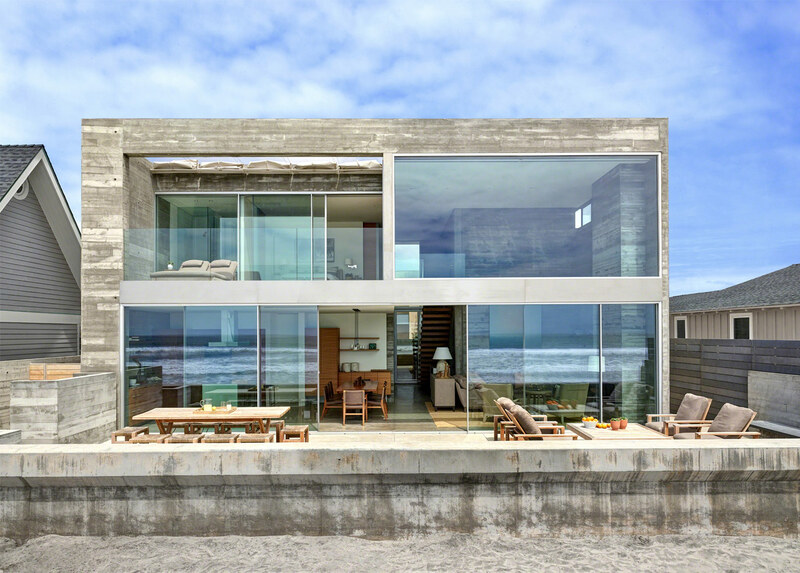 as a two story volume, the house fits the site perfectly. 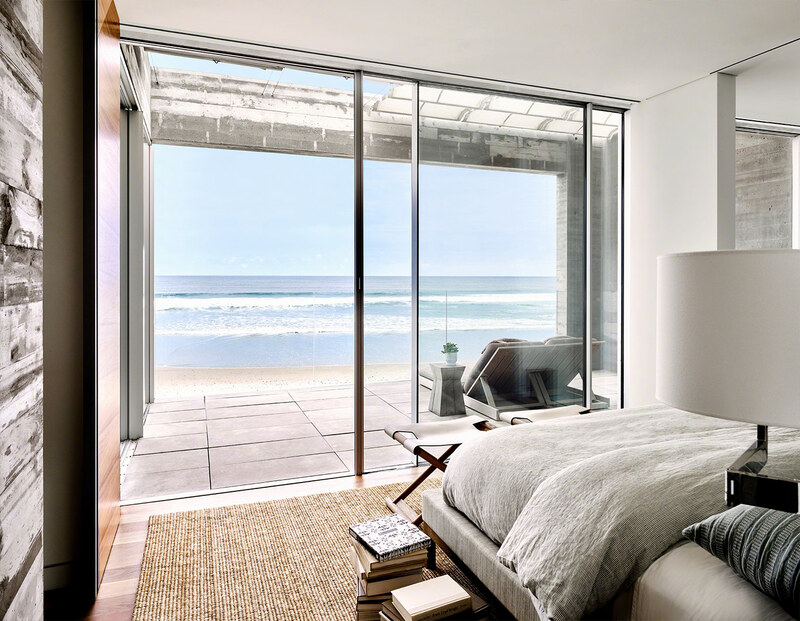 interiors are furnished in easy living style, perfect for a relaxed lifestyle at the beach. 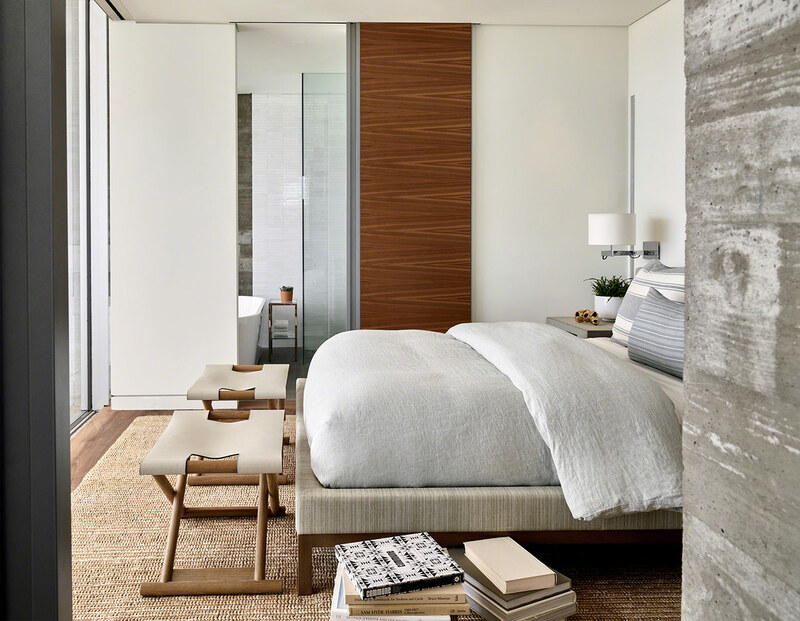 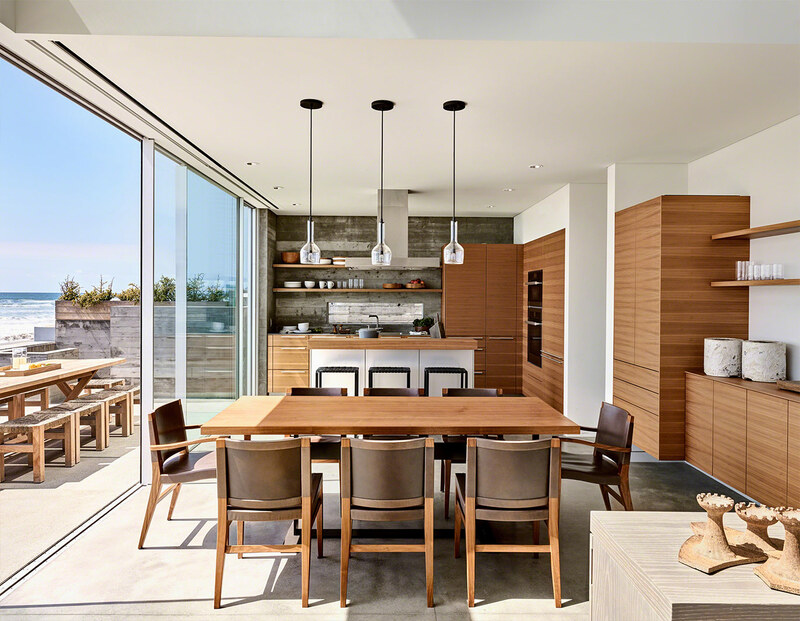 concrete floors, smooth painted interior walls and ceiling provide a backdrop for a bulthaup kitchen, custom walnut doors, and tailored, simple furniture selections. 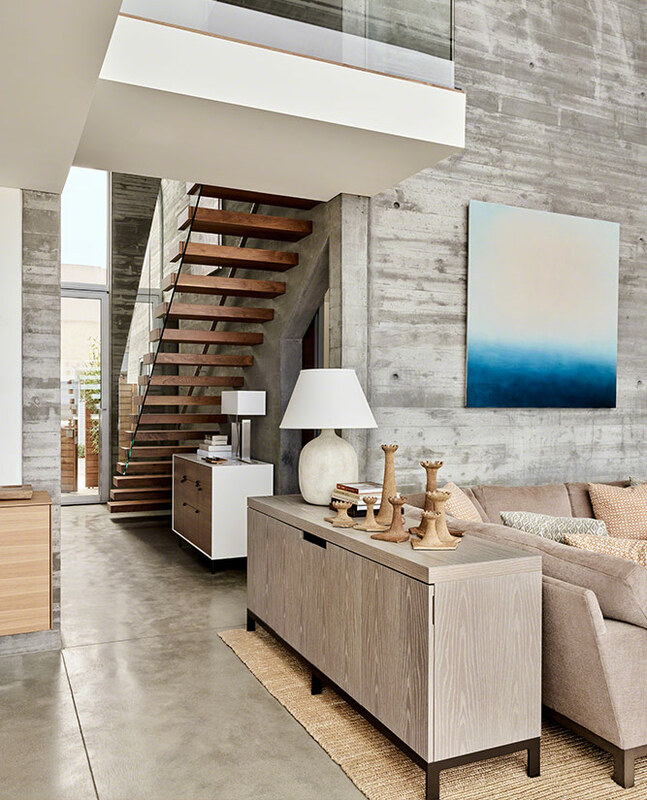 the house is bright with that California sun, but is tempered by muted colors and rich wood finishes on the interiors.